Whole Foods is branching beyond organic produce and experimenting with selling trendy home goods. As Co.Design reports, a new location in Bridgewater, New Jersey features a store-within-a-store-where guests can pick up dishware, candles, and houseplants before or after shopping for groceries. The mini store, appropriately named Plant & Plate, is more than just an extension of Whole Foods' existing kitchenware collections. Whole Foods describes the new outpost as a "lifestyle shop" that's "dedicated to beauty, garden, and home goods rooted in nature." Shelves are stocked with on-brand items like scented candles, succulents, cookbooks, and handmade bowls. Like the edible goods inside the grocery store, Plant & Plate's inventory is sourced from local vendors like Keiko Inouye pottery in New Jersey and Apotheke candles in Brooklyn. 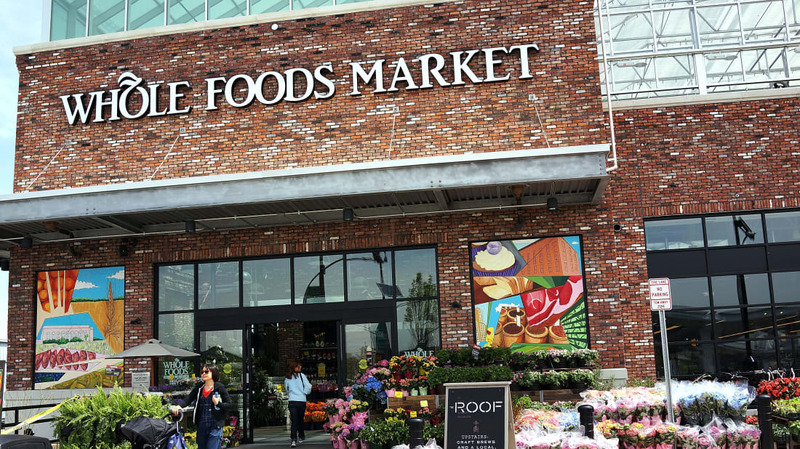 This isn't the first move Whole Foods has made toward becoming a place for more than just groceries. In 2016, the chain announced its Friends of 365 program for third-party businesses looking to set up shop in its less-expensive 365 stores. Plenty of supermarkets host independent stores like coffee shops, but Whole Foods expressed interest in welcoming more offbeat business like record shops and tattoo parlors. Unlike the company's Friends of 365 partners, Plant & Plate fully belongs to Whole Foods. The brand has opened the store in only one location so far, but plans to open another in an unannounced location by 2019. Based on sales, the stores could start popping up in Whole Foods around the northeast and even nationwide.